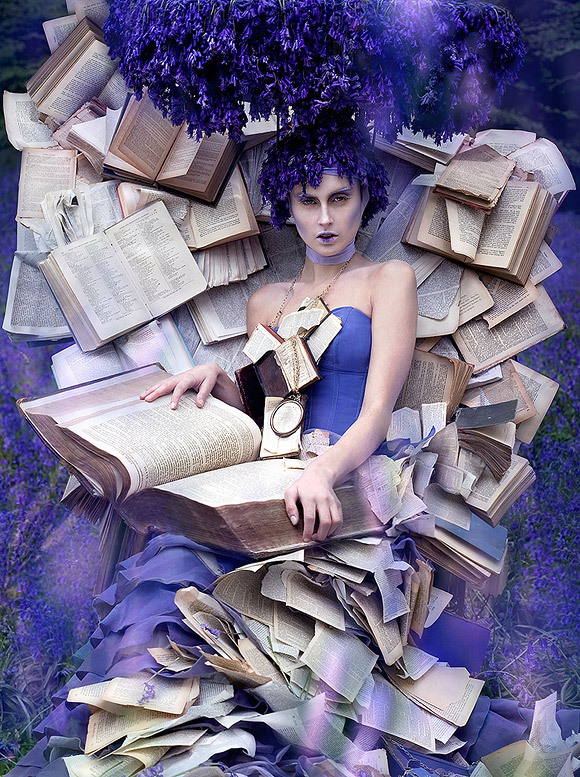 © Kirsty Mitchell - 29………..
© Kirsty Mitchell - 30……. 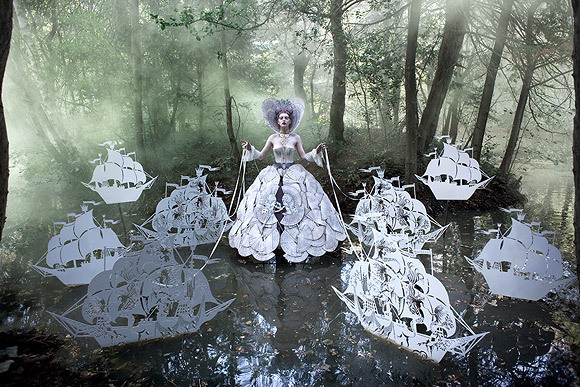 Kirsty Mitchell è un’artista inglese, che definire soltanto fotografa è riduttivo, poichè si occupa dell’intero processo che sta dietro ad ogni suo scatto aiutata anche da fidati collaboratori e volontari. 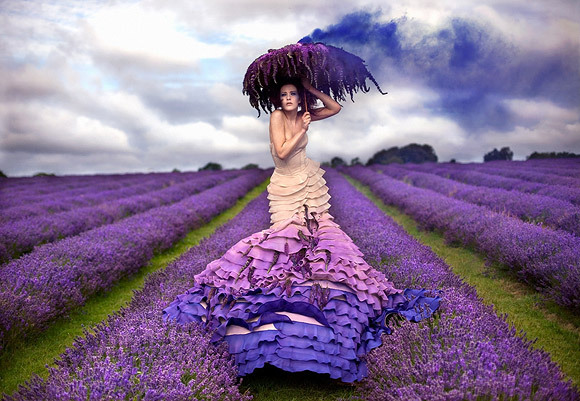 Kirsty Mitchell is an English artist, who is not only a photographer because she follows the whole process behind her pictures, helped by trusted collaborators and volunteers. 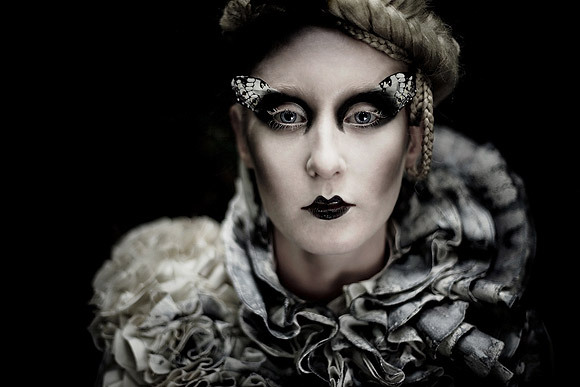 © Kirsty Mitchell - 26 ………. 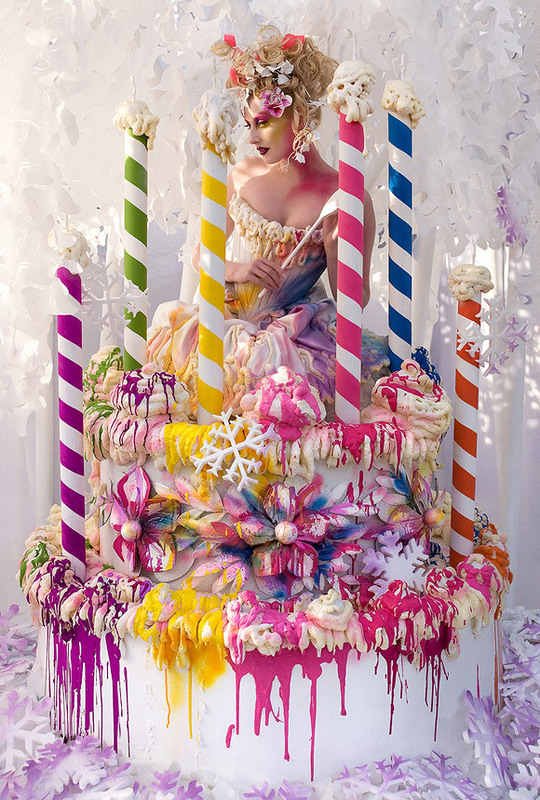 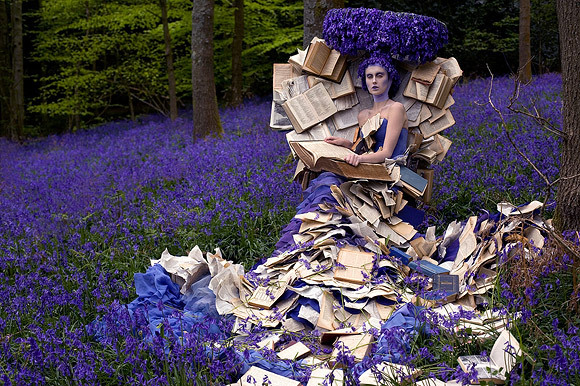 © Kirsty Mitchell - 4…..
Si è laureata in Fashion Design e dopo aver svolto dei tirocini presso Alexander McQueen e Hussein Chalayan, ha lavorato fino al 2007 come fashion designer. 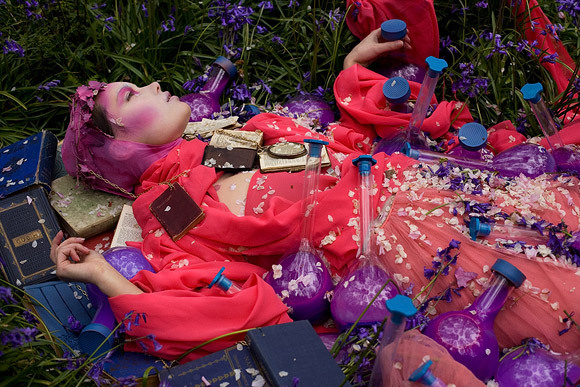 She graduated in Fashion Design and, after two internships at the design studios of Alexander McQueen and Hussein Chalayan, she worked as a fashion designer until 2007. 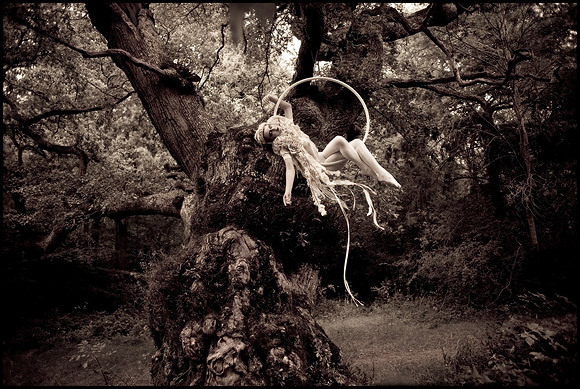 © Kirsty Mitchell - 13….. 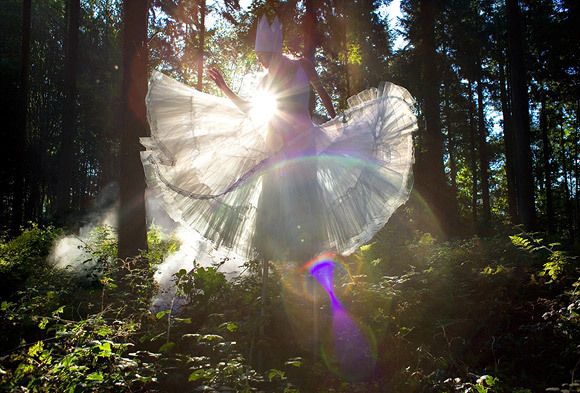 In seguito a problemi personali nel 2007 ha sentito il bisogno di riprendere in mano la sua vita attraverso la fotografia, una passione che l’ha portata a ritrovare un equilibrio. 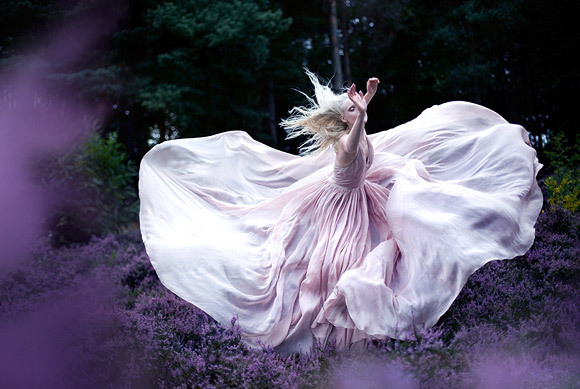 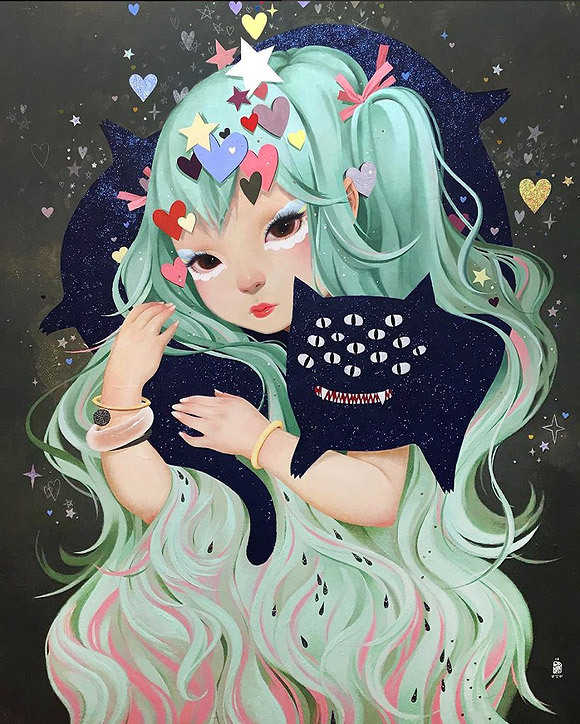 As a result of personal problems she felt the need to take back her life through photography in 2007, a passion that led her to find a balance. 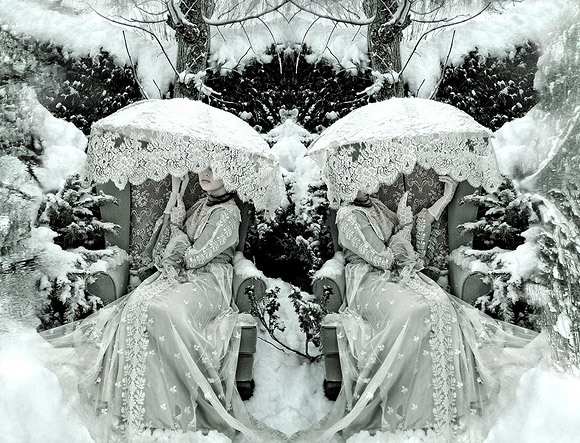 © Kirsty Mitchell - 33 ………. 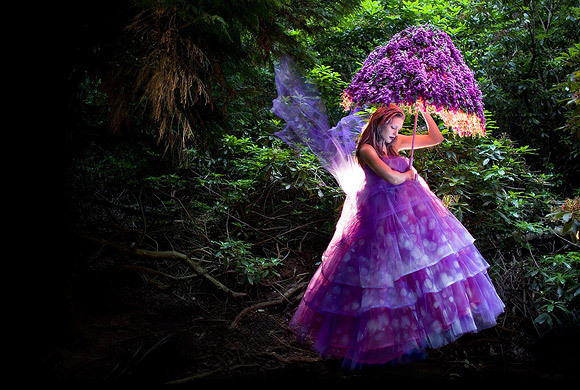 La serie Wonderland, composta da fotografie ispirate alle fiabe di Lewis Carroll, è un omaggio che Kirsty Mitchell fa alla madre, professoressa di inglese che ha contribuito in maniera determinante a sviluppare la fantasia e l’amore per l’arte della figlia. 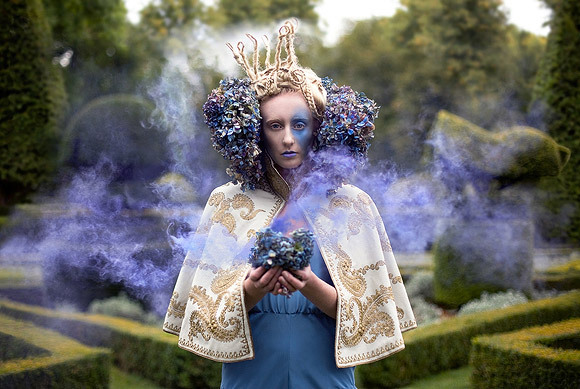 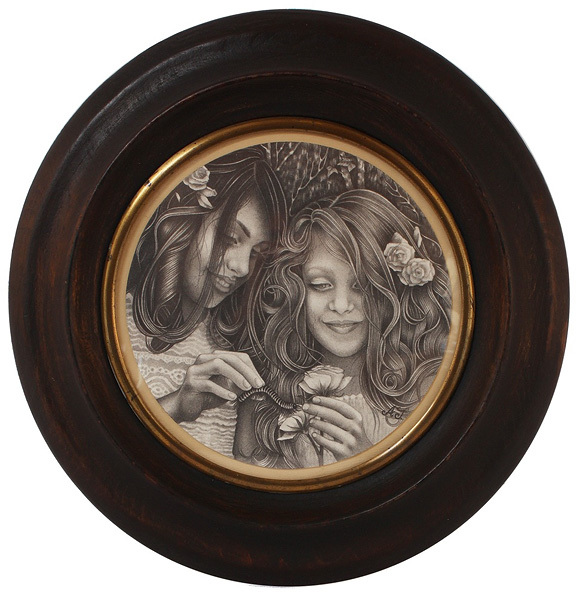 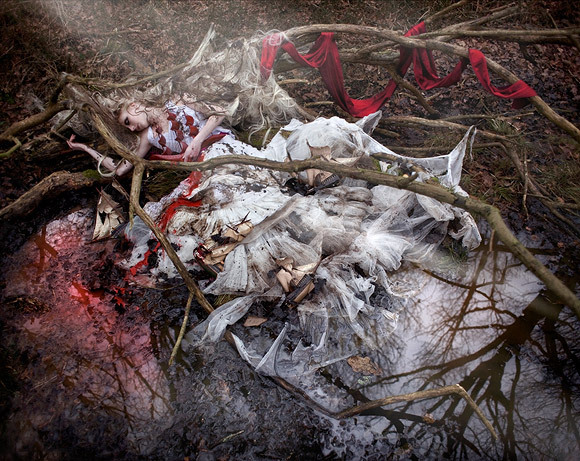 The Wonderland series, consisting of photographs inspired by Lewis Carroll’s tales, is a tribute to Kirsty Mitchell’s mother, who was an English teacher and who gave a decisive contribution in waking the imagination and the love for the art of her daughter. 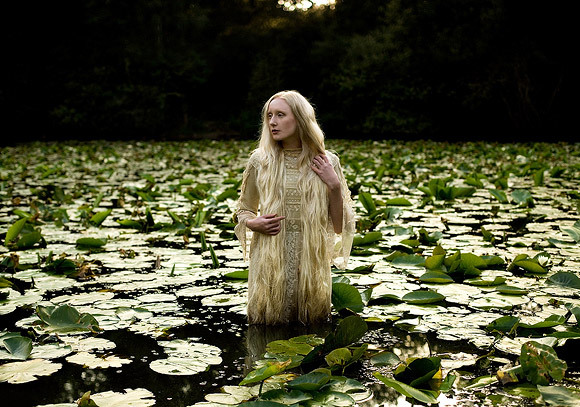 © Kirsty Mitchell - 42……. 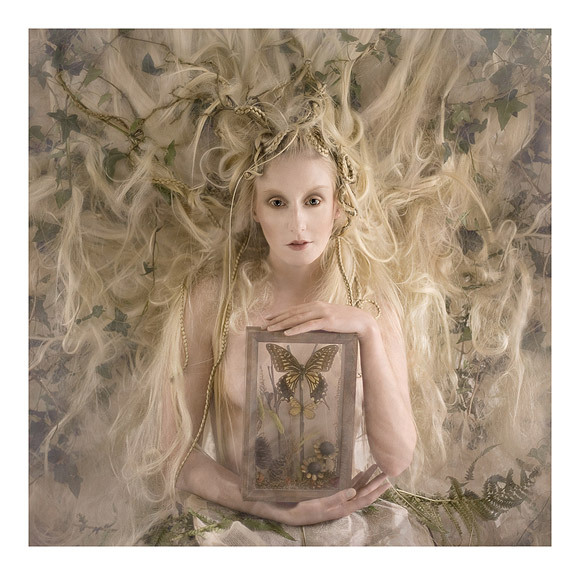 © Kirsty Mitchell - 11……. 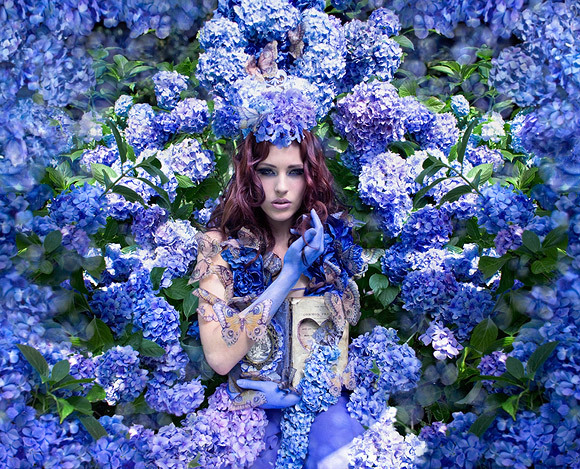 Le fotografie di Kirsty Mitchell sono uniche al mondo, ogni aspetto è curato nei minimi dettagli: scenografie e costumi possono prevedere mesi di preparazione, i luoghi degli scatti vengono cercati dopo ore di esplorazioni e spesso le fotografie devono essere scattate in precisi momenti che seguono i ritmi incontrollabili delle stagioni. 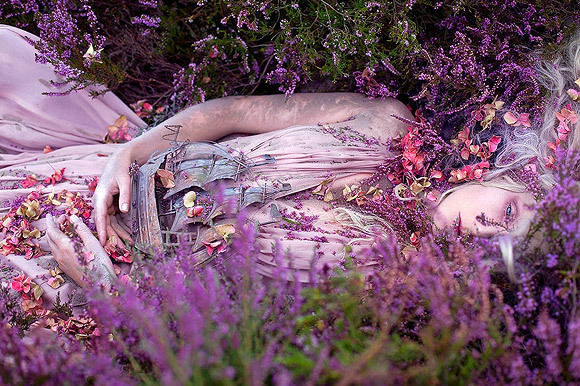 Kirsty Mitchell’s photographs are unique in the world, every aspect is studied in detail: the sets and the costumes may require months to be prepared, the places of the photographs are found after hours of research, and the photographs often must be taken at precise moments to follow the uncontrollable rhythms of the seasons. 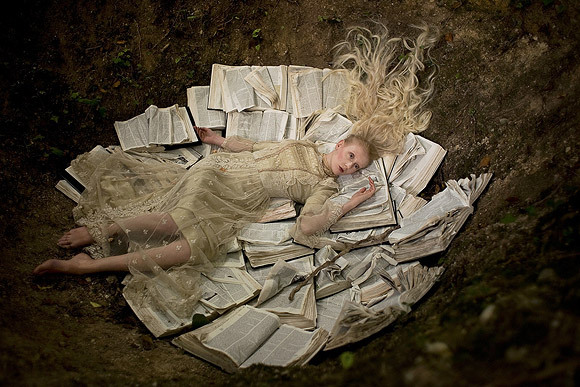 Sono sicura che vi innamorerete di queste favole diventate realtà. 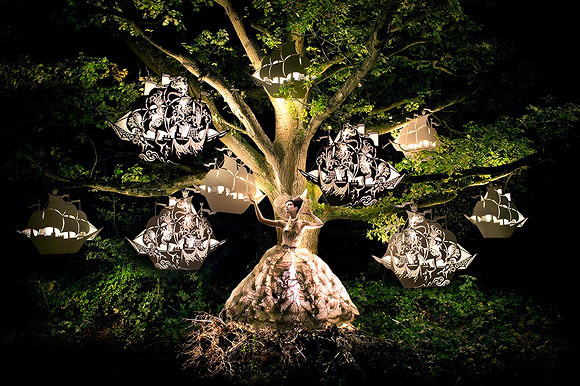 I’m sure you’ll love these fairy tales that become reality. 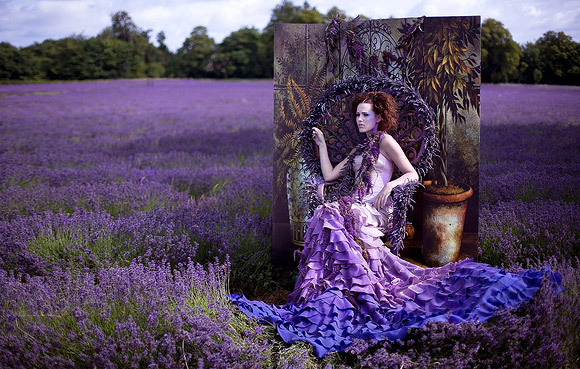 © Kirsty Mitchell - 43……………..
© Kirsty Mitchell - 24………. 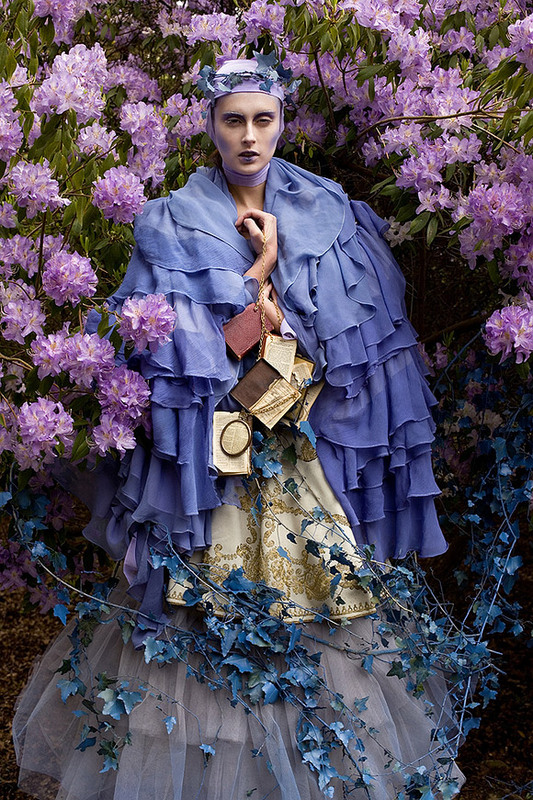 © Kirsty Mitchell - 17…..
© Kirsty Mitchell - 18…..
© Kirsty Mitchell - 2..
Foto bellissime, stupendi i colori, vere opere d’arte! 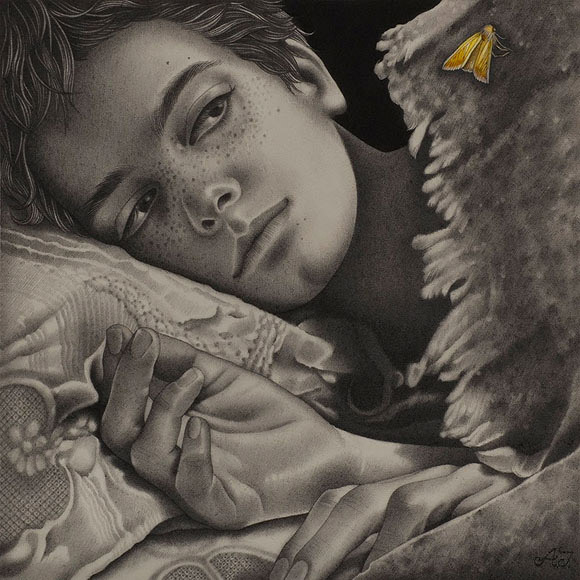 Grazie a voi non smettiamo mai di conoscere cose nuove e speciali, come quest’artista.